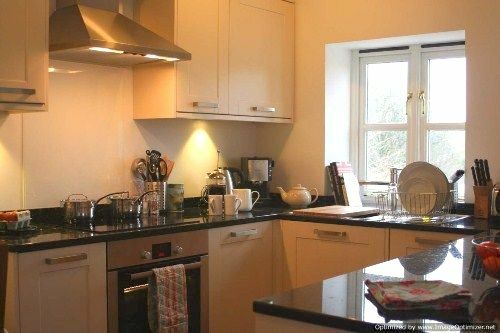 Owners Kate and Kevin Thomas moved to the 9-acre small holding in 2010 with their three young boys hoping to swap the rat race for the Cornish good life, complete with free range chickens and bristly Berkshire pigs. 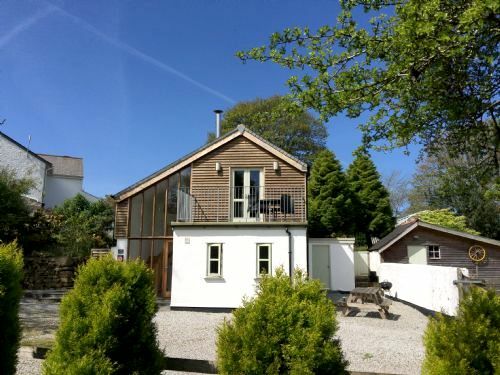 The transformation of the Hayloft's neighbour 'The Old Dairy' was completed in 2012 and, as parents themselves, the couple have kitted out both cottages with toys and equipment to make it particularly family and baby friendly. Not to mention the added bonus of the farmyard friends that always prove the biggest hit with mini guests! The long list of baby essentials (see Fast Facts) provided makes light work of the packing, as does the fact that a selection of toys, books, games and family DVDs, are available. There's also a meadow for children to burn off energy with all the outdoor games, footballs, Little Tikes slide and car, or play in the sand pit or summer house. Children can help the owners feed the animals and collect fresh eggs for breakfast and buckets, spades, crab lines and nets are provided for busy days on the beach. Besides the eggs, parents can buy sausages from the owners and a Cornish Cream Tea is a tasty treat in the welcome pack. 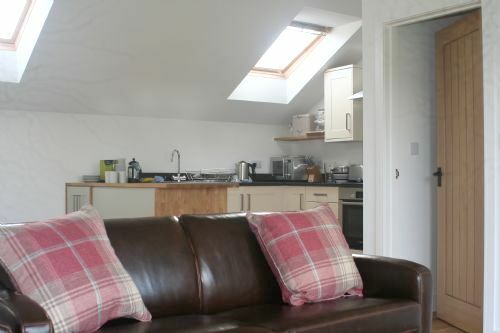 The Hayloft sleeps up to 4, plus a baby in cot. The master bedroom hasa kingsize bed, HD TV, iPod dock and space for a cot. The other bedroom boasts a zip'n'link bed that can be set up as a super king-sized double or twin 2ft 6 beds. The family bathroom is luxurious with sink, WC, shower and large double-ended bath. 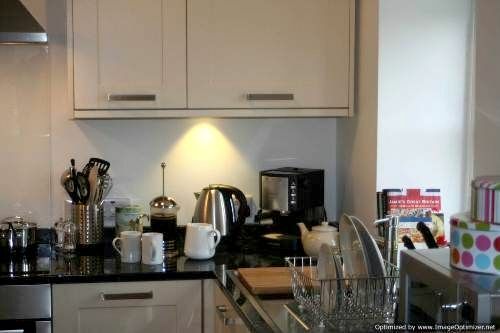 The open plan living space houses a kitchen area complete with granite worktops, Bosh appliances and washer dryer. The dining area seats four plus a highchair (provided) and the lounge boasts a HD TV with DVD player, a small hi-fi with iPod dock, and two leather sofas for snuggling up on in front of the romantic log burner. 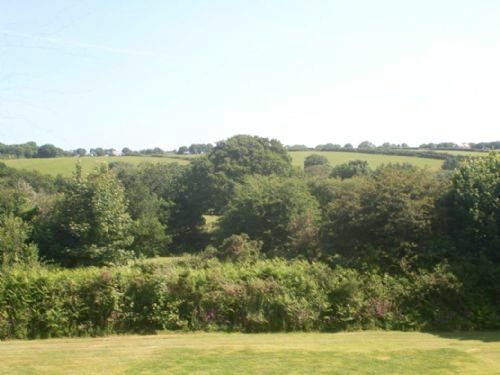 Outside, there is plenty of space to park, and a meadow for playing and running about in. A Juliette balcony (double doors from the lounge with exterior safety barrier) brings the outside into the lounge on warm days. 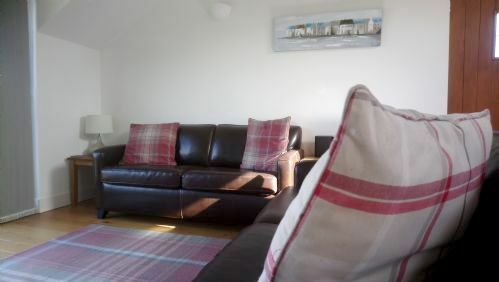 Sleeps 4 + cots in 2 x double bedrooms, one of which has super-king/twin convertible beds and the other has room for a cot. There's a family bathroom with large bath and shower over. 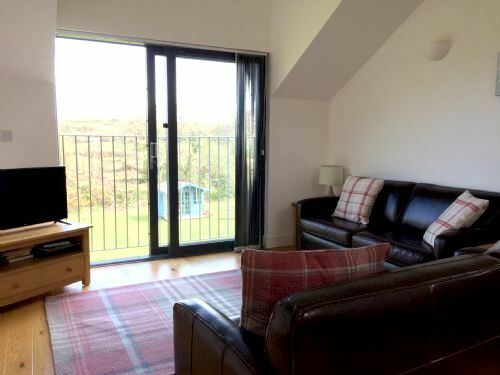 Guests can enjoy nearby Praa sands, Kynance Cove, Gwithian Sands, and Carbis Bay, all of which are only a short drive away. 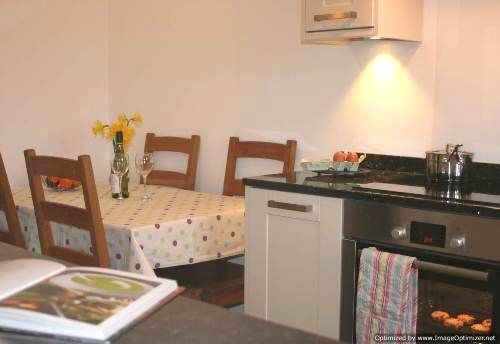 This child-friendly cottage has a good list of baby gear including: a cot, high chair, steriliser, baby monitor, plastic cutlery, bowls, plates and cups and plug socket covers. For little ones the hayloft has a small selection of toys, U-rated DVD's, colouring pens and pencils, board games and puzzles. There are buckets and spades and crab lines for little ones to take to the beach. The hayloft has a Juliette balcony(double doors from the lounge with exterior safety barrier)that brings the outside into the lounge on warm days. 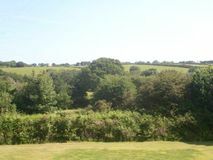 There's also meadow, which is used as a communal garden. Little ones can meet the resident chickens and help with daily egg collecting rounds.